A part of me wishes I was the kind of quilter who smashes through a quilt in a week before moving on to the next - one at a time. But I'm not! I've always got a few on the go at the same time, some for a lot longer than others (and not because they need to take that long, ahem...), but here's what's been on my sewing desk this week. I signed up for this earlier this year, never honestly expecting to get any of the fabric being sent out by the Modern Quilt Guild, but I did! There's something about receiving fabric you probably would never have chosen on your own, and being challenged to make something interesting and unique with it, that inspires you to step outside of your comfort zone. And this quilt is certainly very different from what I normally create! For starters, it's all applique, other than piecing the background, and my style is very much about straight, geometric lines and piecing. It's quite "arty" too, which is also a step away from the straight, geometric designs that fill my Pinterest boards! So it's a bit scary to be putting out there, but either way, I'm excited to finish it and hang it up in my house, even if it doesn't get hung at QuiltCon. I write a Maths & Methods column each issue for Make Modern, and for January's issue, I'm also designing a project to go with that issue's column. It involves a lot of strips and triangles, and that's as much as you'll get out of me until January! I know what you're thinking... Christmas cards on the sewing desk? Yep! I'm experimenting with ways to use up some scraps like these, and I'll be sharing the good ones results of this experimenting next month on my blog as a part of several Christmas posts that'll be happening in November too! Hello! I'm Alyce Blyth, and I'm an Aussie currently living in Japan. You may also know me as Blossom Heart Quilts! I am a quilter, a blogger, an author, a designer, a quilt math nerd, and iced latte addict. As I mentioned, my family and I are currently living in Japan. We've been here for 3.5 years, and will be returning to Australia at the end of March next year. I started quilting a few months before we came here, but it wasn't until we were here that I really started to get serious. 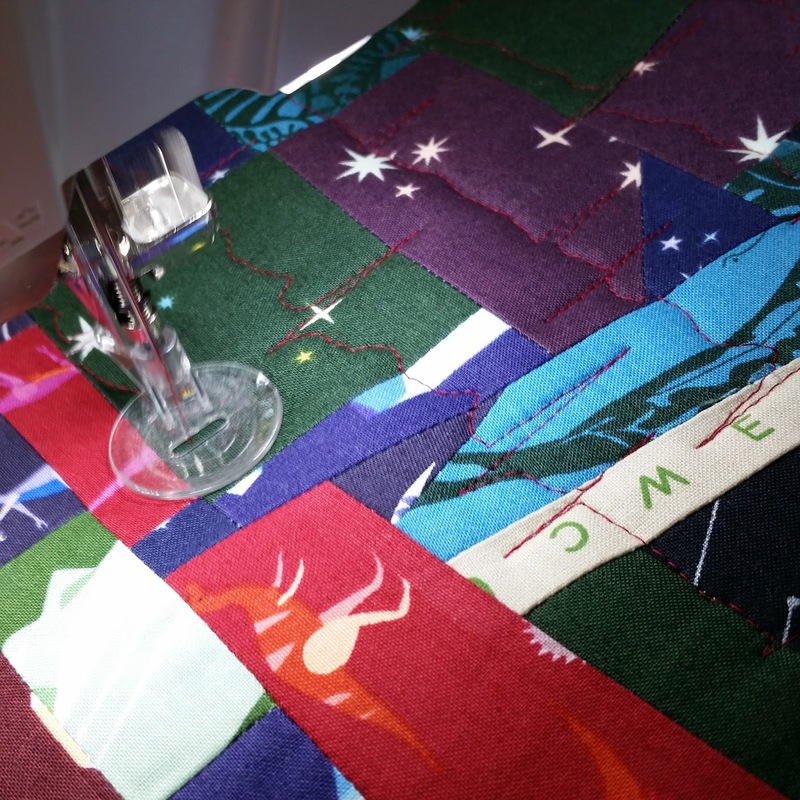 Quilting became my focus and my sanity in the midst of adjusting to a new country. And as I only got to see fellow foreigner mummy friends once or twice a month in person, online quilting friends were my daily source of English and friendship, especially as they really got what I was so in love with! borrowed until we bought a transformer for mine. 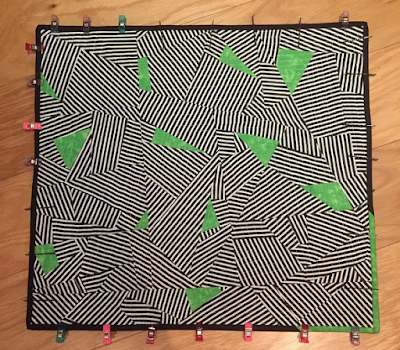 While I started quilting to make my kids a quilt of their own, it quickly evolved into an outlet for both sides of my interests with the puzzle of quilty maths and designing, and the creativity of fabric and colour. Having dabbled in a lot of random crafts over the years, none of which ever truly stuck, I believe this is why quilting hooked me hard - working out quilt maths like a puzzle, and the playing with colours. It makes both sides of my heart and brain so happy! The further progression of my quilting journey was then using my primary school teaching background and applying that to quilting, with teaching via tutorials and quilt patterns being the obvious next step for me. I get so excited when I see others learning and creating for themselves, I can't wait to get back to Australia and be able to teach real, in-person classes! My "high tourist level" Japanese doesn't quite extend to quilting classes... it's a little bit more complicated than going grocery shopping! So I guess you could say that my love for quilting is one third maths, one third colour, and one third teaching. And if whatever I'm doing involves all three, then I'm the happiest! 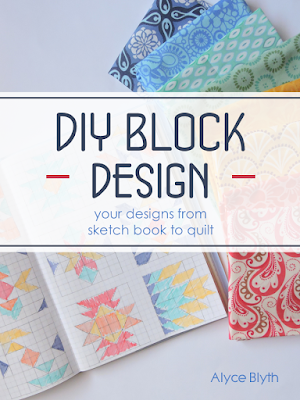 Most definitely the peak of my quilting so far was releasing my first book, DIY Block Design, in August. 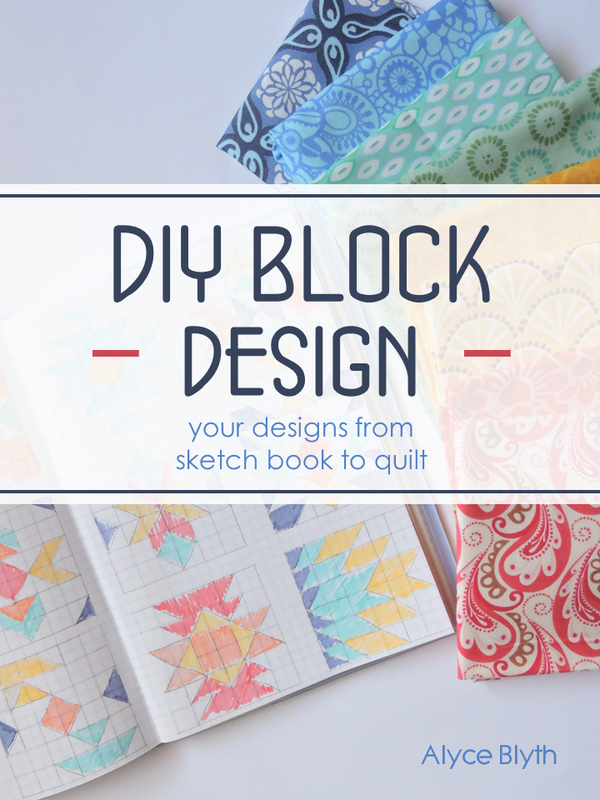 In it, I teach you how to design and make your very own quilt block designs, from sketch book to quilt! 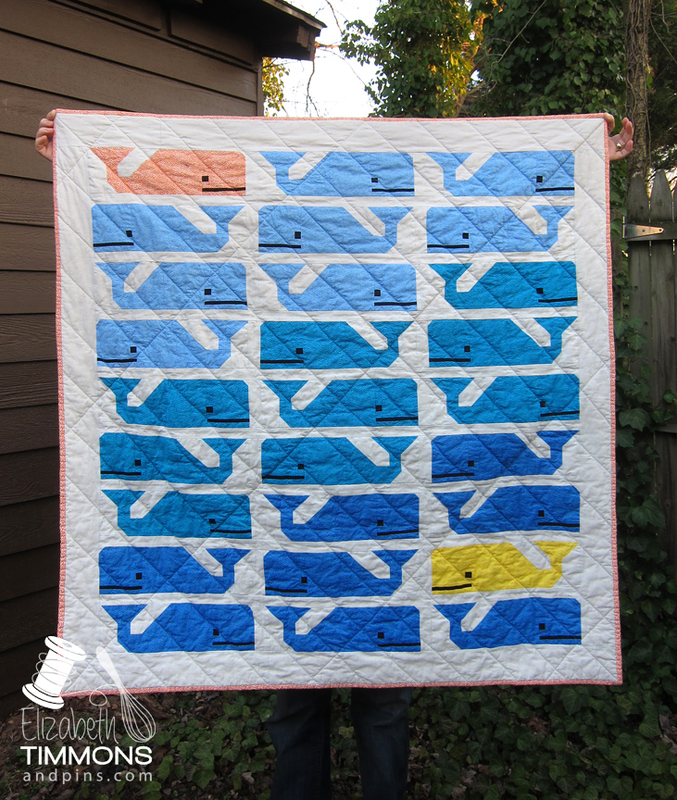 This really is the culmination of all my quilting loves - design, teaching, and writing. In fact, I've been holding a blog hop and design challenge all month long, called My DIY Block Design. Essentially, I'm trying to bribe you with awesome prizes to get over your quilty math fears and make your own designs at last. You can do it! There's still a few days left to whip out a quilt block, as the linky opens on Friday, plus there's giveaways on Instagram too. I'm so excited to be able to share my quilty life here in Japan with you all this week! I currently work and live in Astana, Kazakhstan, with my amazing, kind and funny husband and my two girls, two and four years old. My heart still belongs to rural northern Bavaria, where I grew up and where we will return to next summer. Astana is the second coldest capital in the world (second to Ulan Batoor), and we choose it as a calm place to raise our kids after some adventorous years in not so cold and not so calm Bishkek, Kyrgyzstan and Dushanbe, Tajikistan. Turns out, evenings are very, very long when winter lasts for seven month and you can't spent every evening hanging out at the next shashlik place with your friends as you used to do, because you have kids. Turns out if you live in a rough frontier place - you feel the need to quilt. I have always been a knitter, and as a student, I saw a beautiful quilt pattern on the Rowan home page. I would have loved to try, but nobody quilts in Germany, so I had no idea what to do and where to get fabric - and of course no money for the fabulous Free spirit fabric I saw. 6,25 EUR for a skein of Regia yarn was a frivolious luxury in these days. 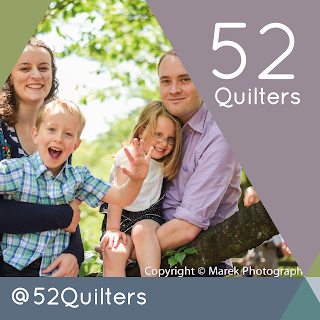 Fast forward five years, I had my first real job and an amazing mother-in-law - a real quilter! So my daughter got this amazing baby quilt, and I bought the only fat quarter bundle my favourite yarn shop happend to carry. At that time, in 2011, blogs were blocked on the kazakh internet, for whatever reason. I did even feel a little bit adventorous and forbidden to download Rachel Hausers Color Brick Quilt tutorial via various vpns. I had no sewing machine, and I was not sure if I would like that new hobby, so I handpieced and handquilted the entire color brick quilt from my random fat quarters. Took me a year, but after that, I knew quilting is a real thing, so I bought a sewing machine after I was done. Another blogger, the amazing Barbara taught me that you can actually order fabric online and in the States, and evenings were not boring any more. 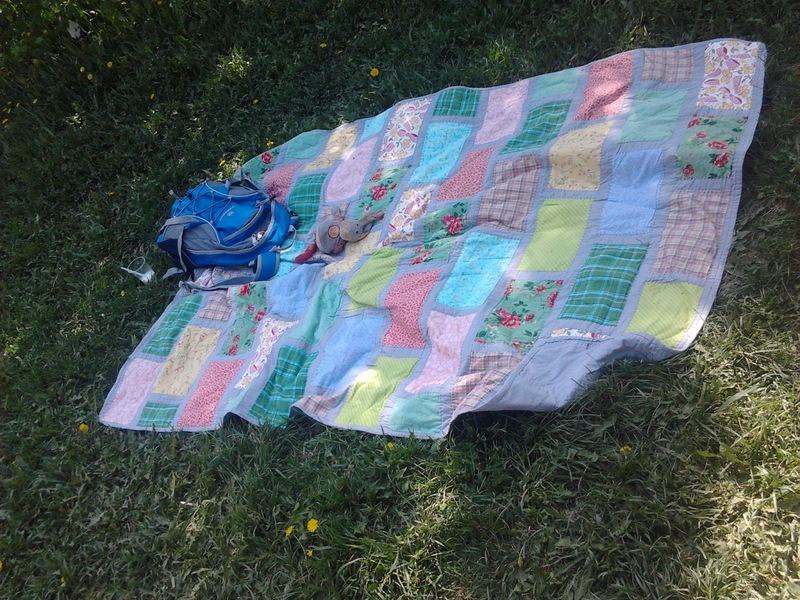 I made a number of baby quilts for my friends back home in the following years, and all the scraps gradually became a scrappy log cabin quilt that is now our family picknick quilt. My kids basically spent the whole summer on it, and I love that it reminds me of all that babies and friends. Last year, I read Anna Maria Horner's blogpost about her Pretty Potent collection, and it really touched me. I also just had a baby, my second one, and although everything was fine and everybody was healthy, I realized that I was also in need of some healing. That's what every women needs after giving birth and having her life changed completly by having kids. So I stiched a quilt just for me, and I called it Healing Triangles. I really, really like it, I even take it to business trips when I know nights in post-soviet hotels will be chilly. It took me forever to get the triangles all right, but it was worth it. I kept ripping seams for three month until I got it right, and that was a healing experience somehow. 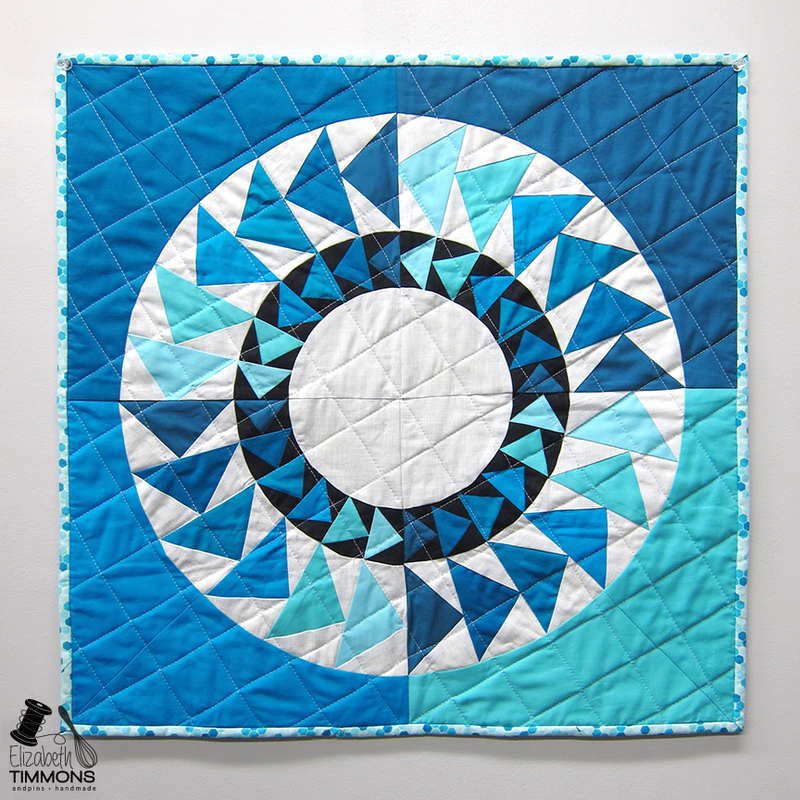 Tutorial is also by Stiched in Color, which is clearly my favourite quilter. So, that's my story. I have one more Astana winter in front of me and and a lengthy project list that I think I need to finish by then - because my quilting days may be over with a new job, outdoor activities finally possible again, friends and family really close and my grandmothers old farm house to renovate. If you don't mind, I'll share my project list with you and try to get started on some of those quilts. I would love to get your advice! Looking forward to a great week with all of you! Aloha! I am Trinia and this will be my intro post and farewell post all wrapped into one. Currently I live in Honolulu, Hawai'i but I am an Oregonian, web feet and all! I have been on the move for 20 plus years, living in Washington, Virginia, and Italy just to name a few. My husband and I have been together for 27 years this week and will celebrate our 22nd wedding anniversary in January. We have one son who flew the coop last year so we are looking toward retirement next year and another move. Leaving paradise will be difficult, but, my quilting journey will continue. My quilting journey began about 12 years ago with an experiment to see if I could make something special for my husband. In college he was the mascot, and had so much fun doing it, I wanted to give him something unique to remember his experience. I learned so much from this quilt. It took me nearly 12 years to finish. After getting the quilt top finished, I was completely lost on how to finish it. The top is one giant applique...nearly 4 feet square. And I didn't want to ruin the applique with the quilting so I took a class from a local quilter who helped me think out the process and work on some free motion quilting exercises. These exercises helped me gain enough confidence to quilt the background. 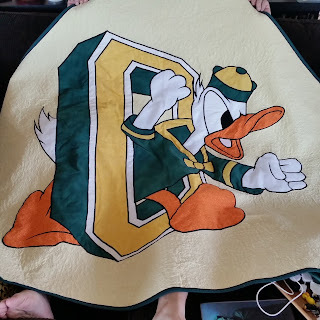 I still haven't quilted inside the applique, maybe someday, but for now my husband loves it and wants it hanging on a wall so he can see it everyday. As much as I love FMQing, I have a very hard time with it. I was in an accident years ago that created soft tissue damage to my neck and shoulders. This has made FMQing difficult for me to do for long periods of time. My attention span is short, so FMQing in short bursts isn't in my make up. So, I have discovered digital quilting on my domestic machine mounted on a quilting frame. If you saw my IG post, you saw the quilt frame in my making space. It is a 10 foot frame that I am able to put my domestic sewing machine on, and with the help of QuiltMotion I can quilt large quilts without having pain in my neck and shoulders. In addition to that I have learned to combine my graphic design experience with my love of technology and quilting to design my own digital quilting motifs. 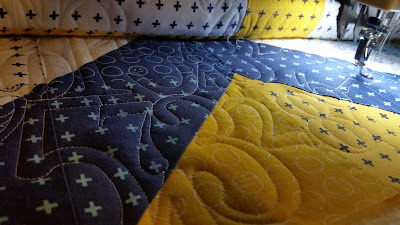 Creating new quilting motifs that complement a beautiful quilt is what keeps me quilting. Listening to the machine hum as it stitches the design is music to my ears. So my quilting journey is just beginning to take off and expand, even after having started it over 12 years ago. There are lots of new experiences over the horizon for me as I am venturing into designing patterns and quilting for others to generate some income. I have even been dabbling in screen printing and painting fabric to create unique fabrics to use in future quilts. I just love making stuff with fabric!! Okay...I just love fabric!! Being part of the 52 Quilters project has been amazing. 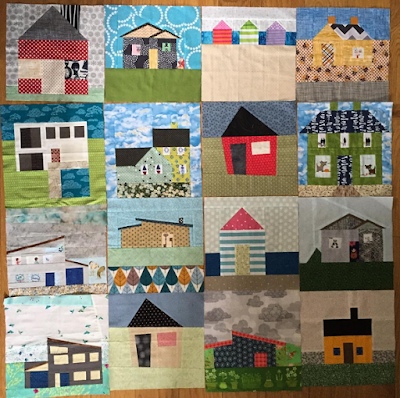 The exchanges with followers and seeing all the talented quilters that have taken over the previous 41 weeks has been an experience I will never forget. 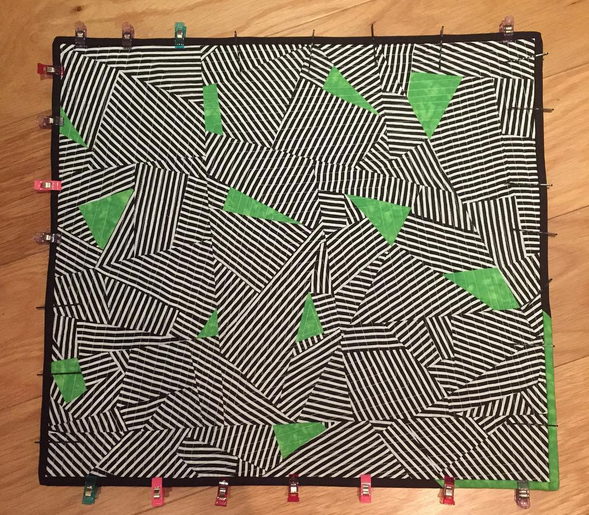 If you would like to see more of my quilting journey or want to share yours with me....follow me on Instagram @penguinfeats or find me on my blog at www.penguinfeats.com The blog has been neglected a bit, but, this takeover has been an injection of new life for me to keep up with it! Thank you for letting me share my quilting journey with you. 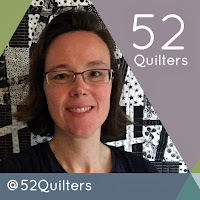 Hello, it's Elizabeth and I am wrapping up my week on 52 Quilters tomorrow. How many of you are in quilt guilds, participate in bees, or in swaps? Two years ago I attended my first Philadelphia Modern Quilt Guild meeting and I am so glad that I did. I found my group, my support, and my teachers. The Philly MQG shaped who I am as a quilter. I was (and still am) constantly inspired by the diversity and creativity that is shown at the monthly meetings. In Maryland, I have found similar support with the Baltimore Modern Quilt Guild and the Southern Comforters of Bowie. All three guilds encourage me to reach out of my comfort zone and to keep making on a regular basis. I love being inspired at the meetings, learning at retreats, and making life-long friends who don't roll their eyes when I talk about quilting and fabric. I joined my first bee, the Modern Insta Bee, in 2014 as a way to meet other quilters and to have a reason to sew every month. What I did not know at the time is how much it would push me and that it would make me a better quilter. I put colors together that I would have never have dreamed of putting together, paid attention to my scant quarter inch seams, became best friends with my seam ripper, and made blocks that I would have been afraid to make if I wasn't obligated to make them. I am now participating and leading two swarms for The Bee Hive quilt bee and participating in the Philly MQG bee. I was hesitant to put yellow, orange, purple, and gray together with black and white fabrics, but it is now one of my favorite blocks that I completed for the Modern Insta Bee. String Circles - the block that I dreaded making, but it is the block that taught me the most. I designed the pattern myself since my partner was a huge Alice and Wonderland fan. You can see most of my bee blocks (I am still catching up on posting some of this years) and minis on my blog if you are interested in seeing the range of them. How about you, what do you get out of guilds, bees, swaps, and/or the online quilting community? Elizabeth lives in the southern Baltimore suburbs with a 34 year old Bernina 801 that her mom picked up from the factory in Switzerland and a 1964 Singer Featherweight. Bitten by the quilting bug in 2012, she considers herself a modern (traditionalist) quilter who loves bold colors and fun fabrics. You can find her on Instagram and her blog Andpins. Good morning (afternoon, or evening depending on where you live)! 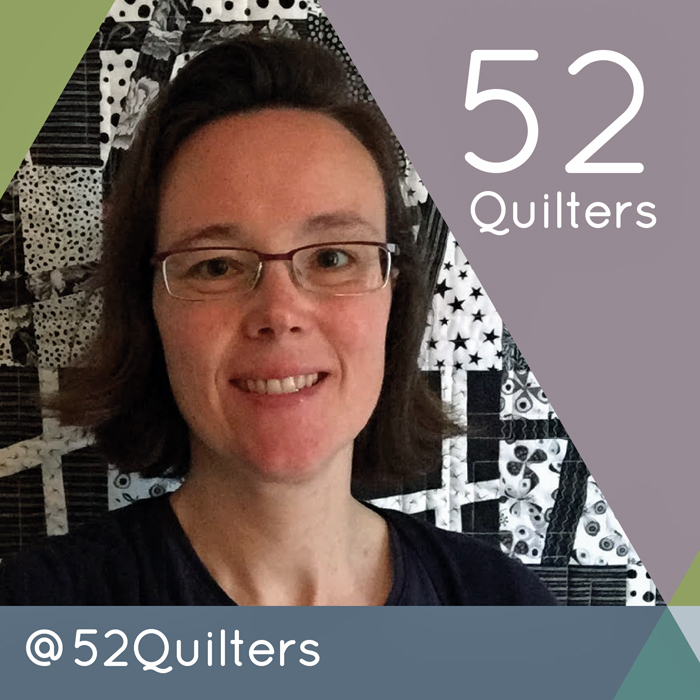 My name is Elizabeth and I am thrilled to be quilter #41. I am currently living in the Southern Baltimore suburbs after spending 14 years in Philadelphia. After moving a bunch as a kid, I think that I will always consider Philadelphia home. I quilt because it is my sanity, my creative outlet, and something that I greatly enjoy (though there are days that it is a borderline need). It is a wonderful contrast from the high paced, spreadsheet filled world that I call my full time job as an administrator in higher education. That and I really love pretty fabric; I do not think my husband would appreciate me collecting it without actually using some of it. The original Architextures by Carolyn Friedlander. It is still my favorite fabric line. I decided that I was going to learn to quilt when my sister told me that she was pregnant with my first niece or nephew in 2011, or that’s what I thought anyway, but I quickly realized that her tastes and my tastes are about 180 degrees opposite of one another so I shelved the idea of a quilt. I drug out my trusty Bernina 801 (thanks Mom!) that had been sitting in a closet for years only being used for a quick hem of a curtain and I made some grab & beach balls and a bird mobile for the shower. Nephew #1 was born in February 2012 and I’ve been quilting since August of 2012 when my mom walked me through my first quilting project, a quilt for my nephew’s first Christmas. I did not do much until January 2013 when I solo pieced my first top and finally finished it in July, at that point I had officially been bit by the quilting bug, HARD, and I have not looked back! If you asked me next month, I am sure that I would pick another set. You can take a look at all of my finished quilts, minis, scarves, toys, bags, etc. here on my site. I’ll be back later this week to talk about the importance of guilds and swaps to my quilting and how they shaped who I am today. It's almost the end of my week as host for 52 Quilters. If you have followed me on Instagram you have seen quite a few photographs, whereas Twitter has been a bit more neglected. This is also typically the case for my own online presence. The ease of using Instagram has almost "killed" my blog and definitely Twitter. It's hard to show quilting in only words and photos are so much better on Instagram. During the week I posted twelve photos on Instagram and below I'll tell you a bit more about some of them. Fabric and quilt shops: I am fortunate to live in London (United Kingdom), which means I have lots of shops selling quilting fabrics and haberdashery around me. For lists of quilt shops, check e.g. London Modern Quilt Guild (Poppy in Stitches), Needles and Lemons or Tilly and the Buttons. UK fabric designer: I have been rather taken by Karen Lewis and her screen printing adventures! 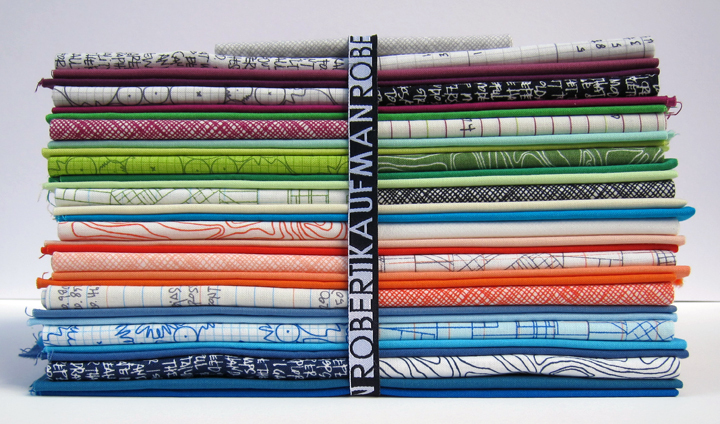 With excellent online work and always being super friendly, she has been asked by Robert Kaufman to design her own fabric line. The formal release is in November, but some shops are already stocking her fabrics. Click for the Blueberry Park collection. Karen also sells some other screen printed designs directly from her own shop, here. 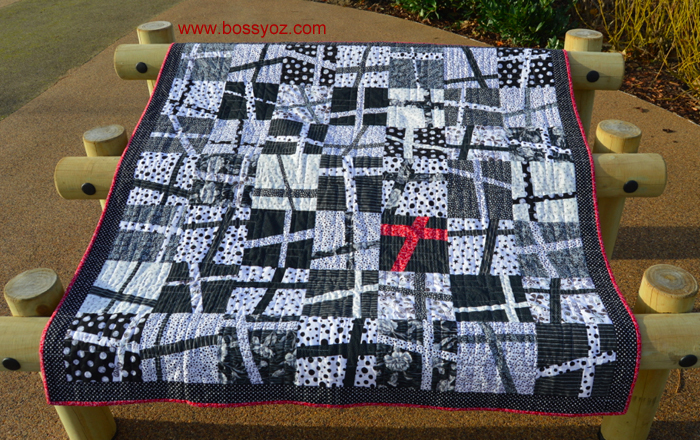 Quilt inspiration: The black and white wonky cross quilt was inspired by the Cornish flag. Cornwall is a county in the United Kingdom which is miles different from London. If London is stress, pollution and congestion; then Cornwall is relaxation, sailing, and peace (if you avoid the tourist spots!). Swaps and customs duty: Having taken part in a few international swaps, I decided to set up and run swaps for quilters in the United Kingdom. This way, we can keep postage costs down, and we avoid getting caught out by customs charges. What many international swappers don't know is that items sent from outside the European Union are liable to customs duty and VAT if value is stated as over £15 (approx 23USD). If it is marked as a gift, then the charges hit over £36 (approx 55USD) if marked as gift. If a parcel is sent to the UK from, say the United States, and the value is set as 100USD, then we end up paying around £23 (35USD) to release it from the claws of UK customs. Not all parcels get checked, but many do. If you are sending internationally, please do your research, or ask you swap lead / organiser. Remember, all countries in Europe are not members of the European Union, and every country has their own thresholds! Thank you to everyone who has liked or commented on my posts on Instagram during this week. It was great hanging out with the "big crowd". I am quilter #40 and my name is Nina. Normally you can find me as BossyOz on most media. I have called England (United Kingdom) home for over ten years. Before moving to London, I spent most of my time in Sweden, where I was born and went to university. I have also worked shorter periods (less than one year in each) in Hong Kong, Poland, Latvia, the United States (Texas) and Brazil. Sewing, quilting and all other types of crafting are for my own sanity. It helps me wind down, it provides distraction from a demanding job and, this is actually important to me, it feels less wasteful to create things than "just watch TV". Some of the things I make, are for my family and to make our lives better. I can only say a HUGE THANK YOU to my Mamma, who taught me to sew as a young child.